18 mm softwood shuttering grade ply. Sold as 8×4 (2.44 x 1.22 m) sheet. Softwood Plywood is manufactured from spruce wood, making it extremely light weight and strong. 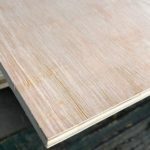 Softwood Plywood’s are easy to work with when using conventional wood working tools and the face of the wood are lightly colored which gives a pinewood effect and can be painted or varnished as required. High resistance to humidity also makes it suitable for projects where climate is an issue.